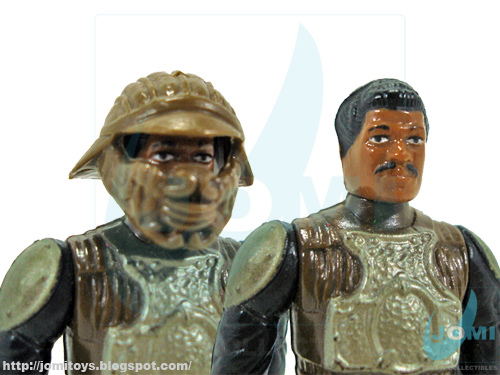 Ah, vintage "Skiff Guard Lando". One of my favourites ever! That helmet was absolutely awesome. While Dante (Brian O'Halloran in Clerks!) said: All Jedi had was a bunch of Muppets, (Return of the) Jedi was the mine for the greatest figures and ships! From 1983 (almost 30 years now!!! ), this figure was probably one of the best achieved from the characters in the movie. 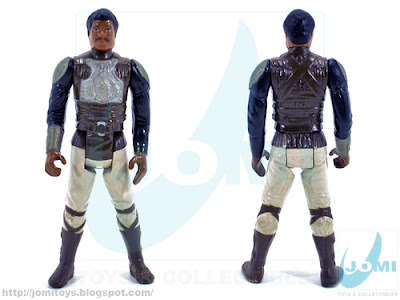 Figure: "Lando Calrissian - Skiff Guard Disguise". One of the 2 human figures with removable helmets from the original ´77 to ´85 Kenner series from a total of 79 figures. Included accessories. The fact there were only 2 human figures with removable headsets, Lando (the other was Princess Leia Organa in Boushh disguise) had an amazing-looking helmet and that particular detail gives this figure the edge. 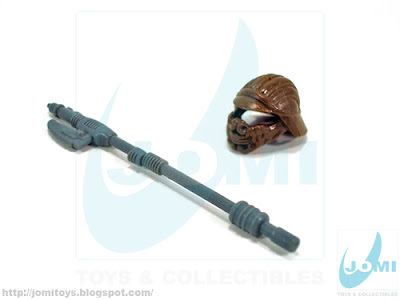 As for the "Force Pike", being a common Skiff Guard weapon, could also be found with 2 other figures, also Skiff Guards. 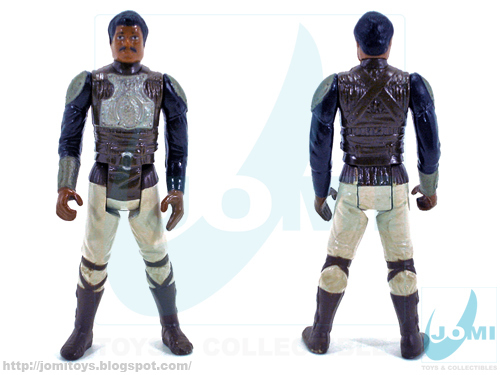 For a 1983 figure, the figure´s face is reasonably faithful to Billy Dee Williams. 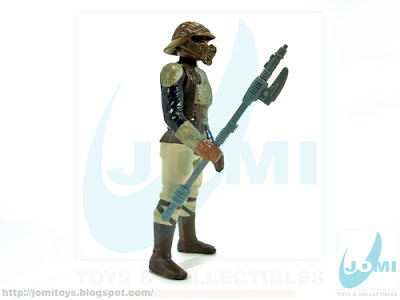 But I´m guessing most of you who used to own such a figure, made Lando kept the helmet on most of the times. There are lots of reasons to like this figure and so very few (if any) to dislike it. I feel it´s somehow a nice stamp on a very good collection from a massive empire of toys. Things have changed a great deal, but looking back, and remembering the 80s, I´m so glad I picked him up and had the chance to actually play with it. And now I´m glad I got the chance to get another one to (dis)play. Great figure! Never had this one as a kid because my interest in Star Wars had started to go away by the time these came out but i did have a few from this series. Most guys I know used his helmet on the Joes, lol! What you mean, perfect english! 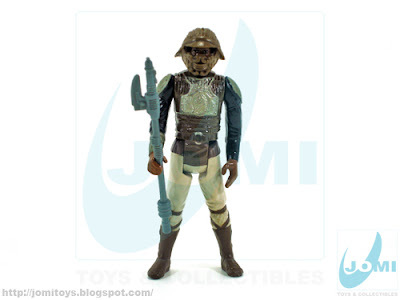 I remember this one vividly.That helmet was a great accessory!What is it about removable helmets that make a figure so much cooler?You can't beat a removable helmet! Budo!Now there's a classic!The helmet looks great on em'. Me encantan estas figuras vintage de Star Wars; de chico jugué muchísimo con ellas, eran mis juguetes preferidos. De grande las colecciono. Exelente vehículo!!! Es del 83?